Many people take fish oil supplements for their health. When it is fresh, fish oil is a healthy source of omega-3 fatty acids. But like any other oil, fish oil can spoil and become rancid. Rancid oils are harmful to the body and taste unpleasant, so you should not ingest them. Determining if your fish oil is rancid is an easy process. Rancid is the term used to describe oil that has spoiled or gone off. Most oils become rancid because of oxidation. Oxidation occurs when a foreign molecule forms a molecular bond with the glycerol molecules of the polyunsaturated fish oil. Oxidized fats become lipid peroxides or free radicals. Test your fish oil for rancidity every few days. The two easiest ways to determine if fish oil is rancid are taste and smell. Taste the oil; it should taste fresh and mild. If the oil tastes strongly fishy or bad, discard it. If you purchase your fish oil in gel caps, chew the gel cap to taste the oil. Fresh fish oil has a fresh aroma that is not overly fishy. If the oil smells overly strong, bad or like rotting fish, discard it. To prevent rancidity, choose high-quality supplements and minimize their exposure to air, heat and light. Purchase the freshest supplements you can find. Choose supplements that meet or exceed the Council for Responsible Nutrition's quality standards. Refrigerate your supplements as soon as possible. Choose glass bottles over plastic or place your supplements in a glass bottle as soon as you can. Some manufacturers use nitrogen-filled blister packs to prevent the supplements from coming in contact with oxygen. Some manufacturers fortify their supplements with natural forms of vitamin E known as tocopherols to help prevent oxidation; check labels for gamma and delta tocopherols in addition to alpha tocoperhol. Rancid fish oils, like other free radicals, are harmful to your health and may cause damage to your body at a cellular level. Rancid fish oil may increase your risk of heart disease, atherosclerosis and blood clots. 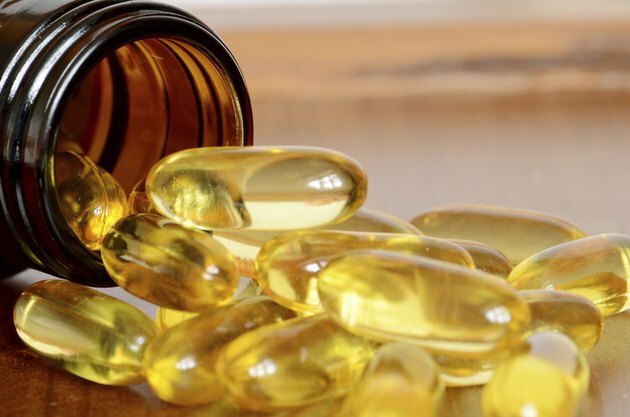 When you consume rancid fish oils, your body must use its stores of antioxidants such as vitamin E to neutralize the rancid oils, leaving fewer of these resources available to your body for cellular repair and disease prevention. Do Vitamin C Supplements Go Bad or Lose Potency?